Yup, I went to Sephora. I went properly. As in, every day. I made a good effort to try lots of new things, and have ended up with a whole bunch of new lipsticks. How predictable. That little aisle near the till is where they get you, I swear. I saw the Too Cool For School Dinoplatz lip balm in Spilled Wine, and was instantly drawn in by the packaging. Little dinosaurs? On a lipbalm? The colour is a really pretty sheer merlot colour on the lips. Nice hydrating formula, and it’s one of those cool brands that makes you feel a little bit edgy. 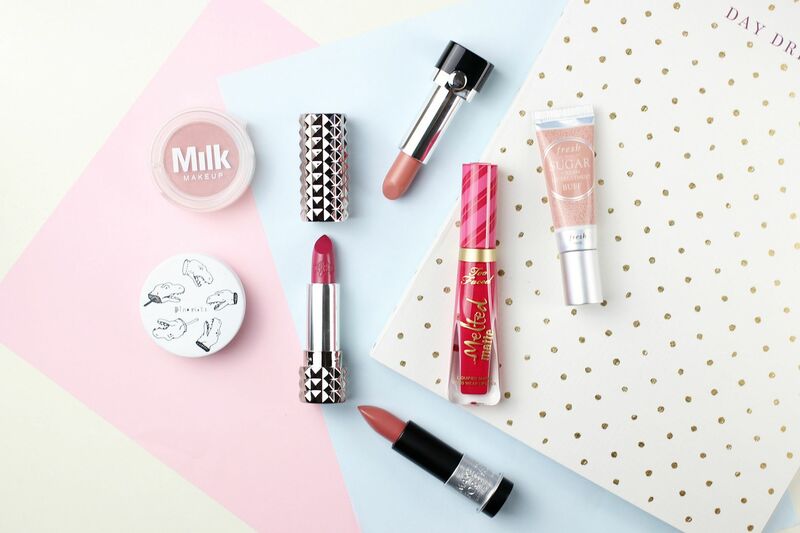 A similar lip stain sort of situation… the Milk Makeup Lip Pigment (in Swear By). Unusual texture, in that it’s a lipstick in a pot. Milk is such a ridiculously cool brand, and this product is just something really fun to play around with. Not convinced on the formula as of yet, but something I need to experiment more with. Two impulse purchase made on the last day – I am so weak! The Fresh Sugar Cream Lip Treatment (love Fresh lip products!) 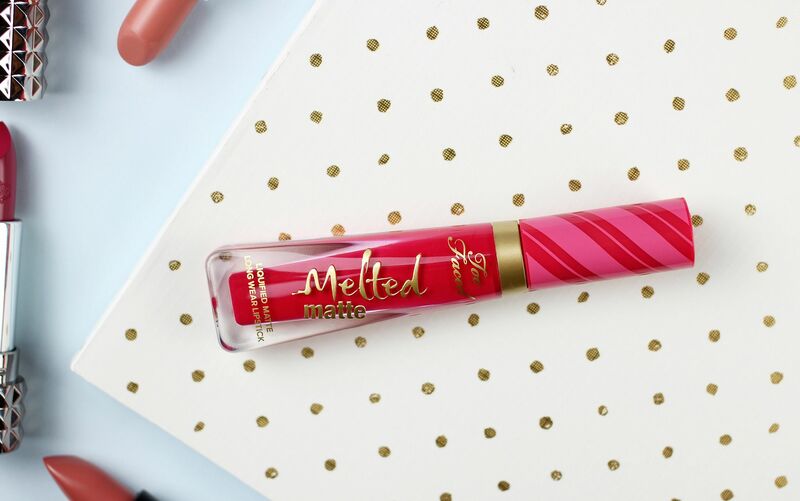 and the Too Faced Melted Matte Liquid Lipstick in Candy Cane. Quite possibly the most deliciously scented liquid lip around – it smells just like an actual candy cane, so sweet. 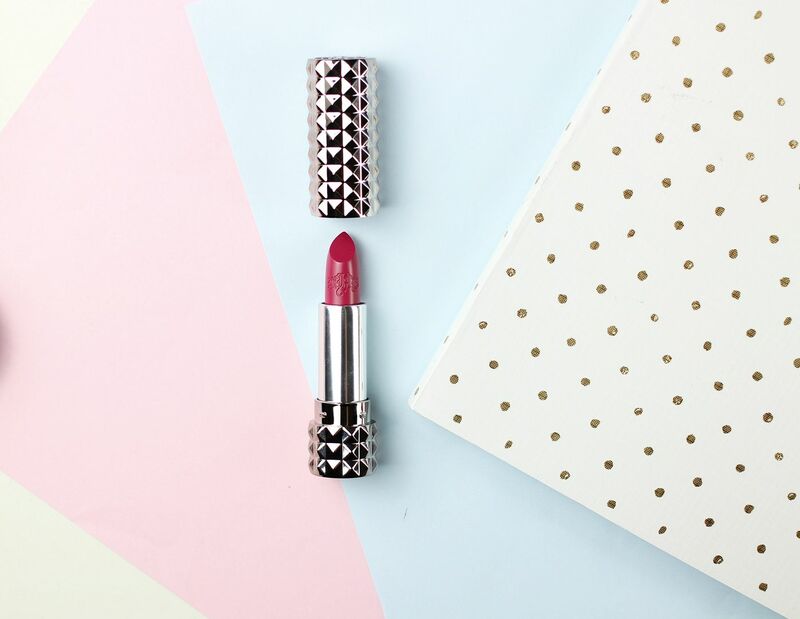 Phew, that’s a lot of lipstick!